We worked very hard to select a tablet partner to deliver you the very best, rugged, high-performance Windows® display unit available. The tablets we selected are as tough as they come, as you can see in the video to the right, which we call the Stealth Torture Chamber! It is one thing to have a nice IP rating for spilling on the display box but it is quite another to have a box that can take a beating like our tablets can! Now ask the other laser alignment manufacturers “how tough is your display unit”? Our competitors offer a display unit that does just one thing: runs their software. Their displays can’t email, can’t take pictures, can’t write reports, can’t do spreadsheets… Not only that but if you break one, you pay nearly 50% of the cost of a new system just to replace it! 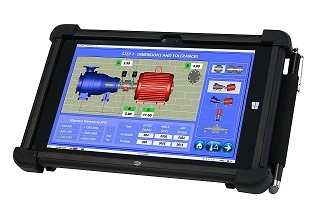 With Stealth Series™ laser alignment systems, our display box is a rugged Windows®-based tablet that meets U.S. military ruggedness specifications, runs our patented Couple6™ software, and also gives you full computer functionality, so you can be more productive and save time. Oh and if your coworker drives the pickup over it, you can easily source a replacement. 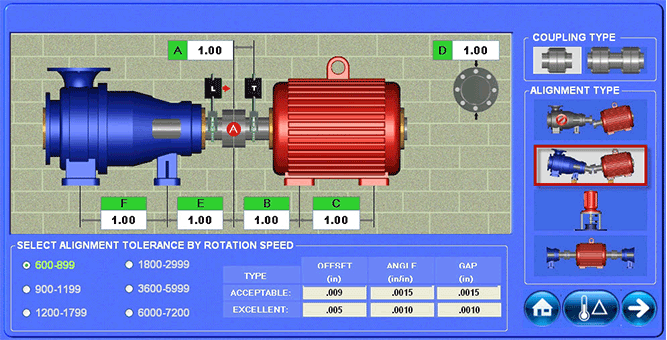 Can competitor laser alignment systems boxes do that? Nein! Nej! With the Stealth Series™ alignment systems all the information you need is available at any stage of the job. Generate PDF reports and send invoices on the go. Imagine that…we believe your display box should do more than just run alignment software! 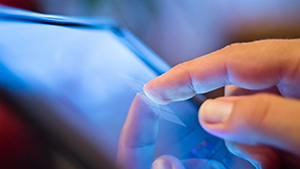 Most competing laser systems offer 3-inch or at most 6-inch display screens, most of which are not touchscreens. With the Stealth Series™, we decided that bigger is better and offer 8-inch, rugged touchscreens for our standard entry-level products and huge 10-inch, rugged touchscreens on our higher-end products, or as an optional upgrade to our entry-level products. The screens are both outdoor viewable and have extremely high resolution, making them viewable from longer distances, too! And once you experience the simplicity of a touchscreen, there is no going back! 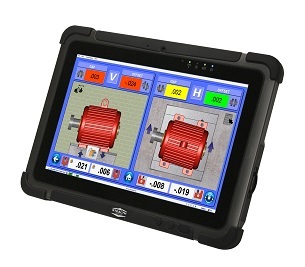 The intuitively designed Stealth Series™ Couple6™ software requires little or no training and runs on any Windows® tablet or laptop PC with Bluetooth™ hardware. Our Easy Guide™ navigation, featuring large, color screens and easy-to-see data displays, provides a simple 5-step procedure to guide even a novice user through each stage of the alignment. On-demand help text is also available on every screen for quick reference. Break out of the box…take the Couple6 interactive tour and see first-hand why more customers are aligning with Stealth Series™.